For many Kellogg Community College students, joining one of the College’s Allied Health programs offers a fast track to a great career. KCC Radiography Program student Camble Johnson is one of those students, counting down the days until graduation in May. “I’ve been going to school for awhile, so it’s nice to see the light at the end of the tunnel,” Johnson said. Johnson, of Portage, graduated from Mattawan High School in 2006. He bounced around different schools for a while trying to find his place, and for a while he even studied business. He learned that he hated being in front of a computer screen all day, and after some career counseling settled on the health field. “They looked at career aptitudes and what you like, and found that working in a hospital or health setting fit me,” Johnson said. Looking into his options, Johnson was drawn to radiography, a field he’d had some personal experience with over the years: Johnson’s broken a total of 15 bones in his lifetime, the first when he was just a one-year-old. Johnson completed his prerequisite courses at Kalamazoo Valley Community College – which was closer to home – then transferred to KCC to begin the two-year Radiography Program so he could become an X-ray technician. Thanks to the knowledge and experience gained as a student in KCC’s Radiography Program, Johnson currently works as a student tech at Bronson and is excited to start his career after graduation. 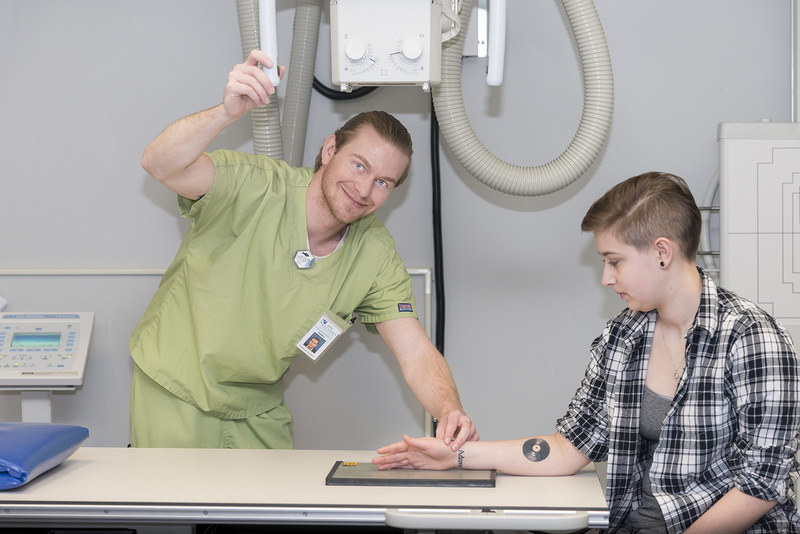 Applications for KCC’s 2018-19 Radiography Program are available now! Visit our Radiography Admissions Web page for the application and more information.